CHARLOTTE, N.C. -- (Jan. 19, 2016) – Bass Pro Shops, America's most popular outdoor store, will be a primary co-sponsor on Martin Truex Jr.'s Furniture Row Racing Toyota Camry during the 2016 NASCAR Sprint Cup Series season. The announcement was made today (Tuesday) at NASCAR's Media Tour in Charlotte. The partnership calls for nine primary Bass Pro Shops paint schemes on Truex's No. 78 Toyota, beginning with two races during Daytona Speedweeks – the 150-mile qualifying race on Thursday Feb. 18 and the season-opening Daytona 500 on Sunday Feb. 21. Bass Pro Shops' remaining seven primary races on the No. 78 will be at Phoenix (March 13), Fort Worth, Texas (April 9), Talladega, Ala. (May 1), Kansas City, Kan. (May 7), Charlotte (May 29), Daytona (July 2), Bristol, Tenn. (Aug. 20) and Homestead, Fla. (Nov. 20). Bass Pro Shops will have an associate sponsorship status when it's not a primary on the No. 78 Furniture Row Racing Toyota. 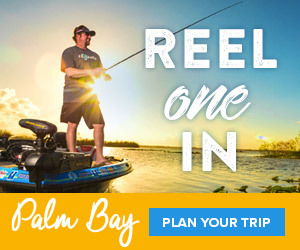 "I'm very excited to have Bass Pro Shops as a primary co-sponsor on the No. 78 Furniture Row Racing Toyota," said Truex. "In addition to my passion for fishing, hunting and the outdoors, Bass Pro Shops founder Johnny Morris is a personal friend and a hunting buddy. With our manufacturer changing to Toyota, our Furniture Row Racing team is positioned to take both companies to Victory Lane and contend for the 2016 NASCAR Sprint Cup Series championship." 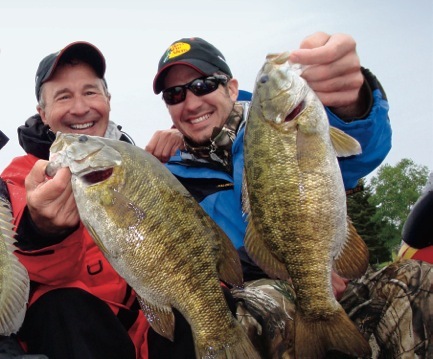 Racing and the outdoors are life-long passions for Truex, who grew up fishing with his father Martin Truex Sr., owner of one of the largest privately held fishing companies in the United States -- Sea Watch International. Truex Jr. discovered his love of racing on a go-kart track at age 11. Today he is recognized as an experienced sportsman, and has appeared on national hunting and fishing television shows alongside outdoor legends Jimmy Houston and Roland Martin. "We are thrilled to continue our longstanding relationship with Martin Truex Jr. – a passionate driver and outdoor lover – while further aligning with our friends at Toyota," said Johnny Morris, founder of Bass Pro Shops. "NASCAR is an excellent platform for Bass Pro Shops and we are pleased to continue our strong alignments with Tony Stewart, Ty Dillon and Jamie McMurray." Truex celebrated his 10th year in 2015 on the NASCAR Sprint Cup circuit with his best performance to date. He qualified for the Chase and advanced to the Championship 4 round. The 35-year-old driver from Mayetta, N.J. garnered 22 top-10 finishes out of 36 events including one win and eight top-fives. He finished a career high fourth in the final Sprint Cup point standings. "Partnering with Bass Pro Shops, a high-profile NASCAR sponsor and a national retail leader in the outdoor sportsman market, has added to an already high excitement level at Furniture Row Racing following a successful 2015 campaign," said Joe Garone, president and general manager of Furniture Row Racing. "Bass Pro Shops and its founder Johnny Morris have been dedicated supporters of NASCAR racing and we are elated that they have recognized our team's potential by becoming a partner." With Furniture Row Racing fielding Toyota Camrys in 2016, the sponsorship further extends an ongoing affiliation with Toyota Motor Sales, U.S.A., Inc., a Bass Pro Shops partner on a wide range of collaborations since 2004. "Toyota has been the official vehicle of Bass Pro Shops since 2004 and our partnership over the last decade has provided additional platforms to showcase Toyota vehicles to outdoorsmen and women who shop at one of the best brands in America," said Ed Laukes, vice president of marketing, performance and guest experience for Toyota Motor Sales (TMS), U.S.A. "With Martin Truex Jr. continuing his relationship with Bass Pro as he drives a Furniture Row Camry, it further deepens our connection with Bass Pro Shops." Furniture Row Racing made its NASCAR debut in 2005, competing in 10 NASCAR Xfinity Series races and two NASCAR Sprint Cup Series races that season. The team has qualified for the Chase for the NASCAR Sprint Cup in two of the last three seasons, and in 2013 was the first single-car team to earn a Chase berth.